A few days ago, we talked about how beer made from standardized recipes was widely consumed in Mesopotamia, by circa 5th millennium BC. Well, now it turns out that its ‘classier cousin’ wine wasn’t off the menu of our ancestors for too long. 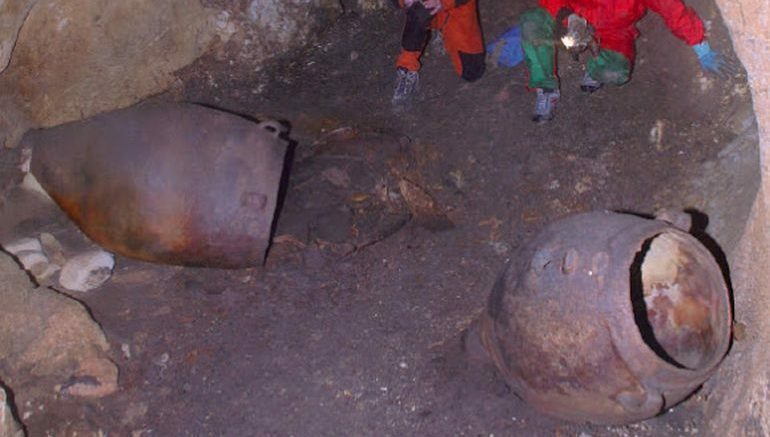 Moving away from the Near East into the heart of the Mediterranean, researchers from the University of South Florida have successfully found traces of the oldest known Italian wine inside an ancient storage jar dating from the Copper Age, circa early 4th millennium BC. 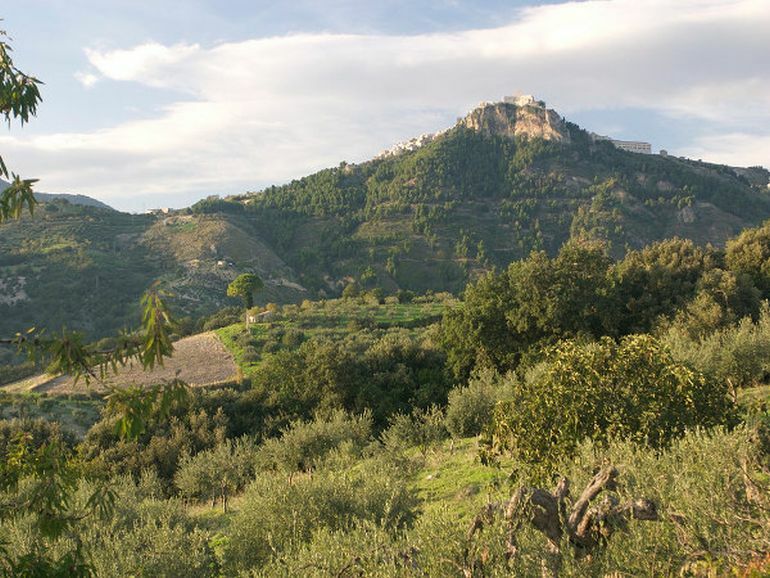 The unglazed pottery specimen was originally discovered at the Copper Age site of Monte Kronio in Agrigento, the southwestern coast of Sicily. The analyzed residue in question here was found to have contained tartaric acid and its sodium salt, substances that naturally occur in grapes and thus are associated with winemaking. Now interestingly enough, from the historical perspective, Akragas (or Agrigento) was a major urban area and one of the leading Greek cities of Magna Graecia. In fact, many scholars believe that the city boasted a population of over 200,000 in 5th century BC, which in itself suggests that the area attracted its fair share of inhabitants since the prehistoric times. It’s very rare to determine the composition of such residue as it requires the ancient pottery to be excavated intact. The study’s authors are now trying to determine whether the wine was red or white. And finally, quite intriguingly, the world’s oldest unopened wine bottle also has an ‘Italian’ connection. 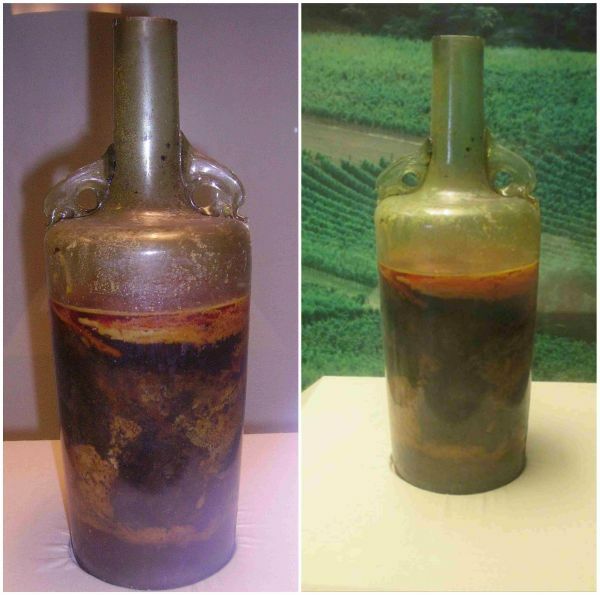 Known as the Römerwein, or Speyer wine bottle (named after the Speyer region of Germany), the 1700-year old wine – pictured below, is of ancient Roman vintage, originally found inside the tomb of a noble. The Roman Speyer wine bottle, dating from circa 4th century AD.